I LOVE THE CAST IT’S LOOKS LIKE AN INTRESTING DRAMA. Seems interesting and i love dramas involve kids in it. What if I rather pick you than the stars? It seem you are dragging me every where.Belive me if I have to search the stars for you I WILL. Wishing you all the best in your new drama Pick the stars. Love and kisses from Tehran. I wanna see the trailer. Can this film as good and funny as You’re Beautiful? Wait and see!! Cannot wait for this drama, love the leading stars hope its interesting. she looks like Park Shin-hye!!! Woah! the casts are adorable to watch. definitely be watching this series. whoaaa, kim ji hoon’s newest drama! I love this series…it’s so funny. Best so far of 2010. Looking forward to next chapter. Amazing drama!!! I watched the 4 first episodes and I’m already addictated!! The plot is fresh and the actors (especially the kids!) are amazing actors!! DO NOT MISS THIS! God!!!!! evryone has to watch dis drama, u’ll cry fr d start of d 1st 4 ep. My co workers were laughing @ me coz they saw me crying and they wonder y? LOVE IT SO BAD…. This is a pretty good k-drama for the beginning of 2010.
and they made me cry. So be prepare with a box of tissue. I read somewhere, a viewer commented that he/she was hoping that the leading lady would fall or the 2nd leading man. So do I. I hope that at least the writers would read my comments. In most k-drama, the leading lady or man always falls for the bad guy that mistreat them from the beginning. I don’t see love starting this way. Love is from someone who care and is always there beside you. If one starts off on a wrong foot, building anger and hatred, it’s going stay behind a person, sub-conscious if I the guy does not respect or look down upon them. That subconscious will creep up occasionally which is no help to a relationship. That’s is no recipe for love. Anyway, this is a highly recommended drama to watch. I am looking forward to the next episode. Enjoy! she does not know. they do have chemistry ……….. I Love This Drama….. As one of the earlier posters mentioned it’s something fresh…. although their are some recycled scenes, it’s still fresh… The cast has done a wonderful job and the lil one’s are just amazing thru and thru…. So much talent….. I find myself tearing and laughing up every time. With that said…. People, this drama is a MUST to watch……. this drama is fantastic..good story line and cast are amazing..I love the kids most-they are not only smart but brilliant actors at their ages..
although the second brother treat Pal Kang the nicest, she will end up with the jerk like older brother..right now the older brother have a heart as cold as ice but the longer Pal Kang and the kids stays around him, he will then learn to forgive and love others.. Yes, I’m rooting for the younger brother too coz his the only person who understand her struggles…go hyung! the first time i read the synopsis, i got curious of how would this story be authentic so then i’ve watched it… gladly i did, the first 6 episodes were really amazing and outstanding!!! i’d enjoyed watching it and i really can’t wait for the next episode.. to those who is as curious as i am about this drama, try watching it and its a promise you won’t be disappointed.. i love it!! Here I am wathching another drama with you taking part. The more I see you acting,the more I belive in your talents.I hope to see more drama’s from you.Keepup the good work. Love,love,love dis drama…. d 1st 6 ep. i was sobbing so hard. Every actor act exceptionally good esp d kids. The mean guy is so damn hot and he’s actually my kind of man, I encourage everyboby to pls watch it…. waiting for the next episodes!!!!! OMO! Did anyone else notice, the main actress looks like Lee Soo Kyung who was Kim Ji Hoon’s leading lady in the drama ‘The Golden Era of daughter in law. I just had to pause for a minute when I started the video and thought they’re in a new drama together again. This drama is really good! The children act so well. The couple seems to hv chemistry too! Simply love Kim Ji Hoon! now, dis drama gets more exciting and makes me upset to wait thou it’s worth it… the couple has a gud chemistry. actors, director and writers are must be proud to hv dis drama…..i can’t get enough of JPK and WKH, d chemistry amazing!!!! nxt episode pls!!! my opinion after looked the cover..
i think it’s a good drama. Love this drama,can’t wait to see next eps..
i think choi jung won looks like park shin hye(you’re beautiful). just an adult version:)) i love them both!!! i tink 1st cuz ep cant tell the excitement yet… Might look a little too serious..
LOVE LOVE this series it’s the BEST!!!!! I like the storyline,….. can’t wait next episode. whrs my ep 13 n 14 ????? i like this drama/comedy….the kids are funny. i cant wait for the next epi…..
accdg to viikii pipol d epi 13 & 14 was not shown last monday and tuesday due to winter olympics dats y its taken too long… so juz wait dis coming monday. i hope i was able to answer ur inquiry..
oh… so sad.. have to wait 1 more week for ep 13 & 14!!! damn!cant wait to watch it! The relation between Kang Ha and Pa Rang is so cute,… love that kid. can’t wait for next week,it is so interesting. love this drama… cant wait to watch the next episode. parang and lawyer looks so cute like father and son. hope it will end so happy…..
go parang.. you are the star….i really like kh and parang..they look cute. parang is so funny…hope it will end a happy ending… kh and pal kang….. together….thanks guys for the sub. can’t wait the next episodes..
i can’t wait watching this dvd,i must wait two weeks after this drama end,i hope have happy ending,that kang ha and pal gang can be couple and live happyly together with her brother and sister,and can’t wait kangha kiss pal gang. HILARIOUS!!! I just couldn’t wait another second; I had to comment on this drama. Actually, just a few days ago, after watching half of episode 1, I decided to pass. My views were very similar to the ones I had towards Boys Before Flowers last year. BRATS!!! They are never my favorite characters whether in fiction or reality! Yet, just like Boys Before Flowers, I’m so glad I returned to watch this drama and observe the growth and evolving of each character. In the 2nd episode, once Pal Kang is in the house, is when the real fun begins. Anyone watching this drama will be laughing endlessly. This writer has an AMAZING MIND! Especially the part about the boxes moving by themselves and the small, young burglar, with a bag…to how much did you drink…to being hosed down in the shower for seeing a midget (that’s my take) burglar!!! ROFLOL!!! The nephew alone is a character! @67, Thanks Hollywood for recommending this drama @City Hall. I’m so glad I decided to give it another chance! If anyone is looking for a drama that will make you laugh hysterically at the script and at times, the subbers comments, this is the one! There were times that my eyes were like a yo-yo, because the subbers were so funny! Great job to the writer, director, cast members…oh how do I love precious, baby Nami and fiesty grandpa (president of SK Insurance) who are among my favorites in this sitcom (situation comedy)! The acting abilities of the children in this drama are beyond phenominal. They are so gifted! I BELIEVE THERE SHOULD BE A SPECIAL AWARD CATEGORY FOR CHILDREN, WHERE ALL OF THEM SHOULD RECEIVE AN AWARD FOR THEIR ACTING ABILITIES. The leads acting is GREAT, especially the nephew (dol) who humor is supposed to be exaggerated and is too FUNNY! Of course, you have your antagonist, a duo (mother and daughter) that everyone wants to see them get the justice due them! i cant wait the last episode of this drama…the cast are all great…this is a good combination of happy, sad and evil….good job for the writer and director.. i keep on laughing. the kids and the nephew are hilarious very funny…love kh and pk…parang too…good acting kiddo…i want to have a copy of this drama… wanna watch it again cant wait to buy one. are the rest of them. I love those child actors, they are excellent. They contributed to make the whole drama a success. Good job everyone, keep it up. i just simply love this drama..at first i thought this drama wasn’t good and i didn’t pay attention to it even though it seems many are watching it but i was TOTALLY wrong!! i watched the first episode and it got me interested and hooked! i was curious how the story will go and i was totally in love with KANG HA! GOSH HE IS SO HOOOOT AND HANDSOME!!!!! Ok! Finally, the character Jae Young has relented her unrequited love for Kang Ha and is amiable towards Pal Kang! I’m so glad! Her mother on the other hand is the worse of the worst. Do I hear a clink clink on her wrists! I’ll just say bye bye to her now and her stylish wardrobe, because it appears that she will, very soon, be joining an all female enclave where everyone sports the same ensemble! LOL! Well, that is unless she takes a not so easy way out. I’ll just continue to watch and see what will happen. FINALLY! The KISS-S-S-S-S! Finally, Kang Ha reciprocated his feelings towards Pal Kang! So SWEET! So AFFECTIONATE! It left her speechless and dazed! Looks like Pa Rang won out over all his siblings preferences! mmmmmmwah! Thank you writer! Oh, I almost forgot about the nephew dol…what a cutie! Oh! I really hate for this drama to end so soon. Yet, from the previews, the ending is really going to have us on the edge of our seats! Anticipation! at last i was able to watch the last episode and I’m somewhat have a mix feeling about it.I don’t know wether I will be happy that it ends, but for sure I am very sad, ’cause I don’t know when I will be seeing again the screen couple Pal kang and kang ho. Stars falling from the sky is really a ggreat drama that I watch religiously and becomes my daily vitamins since it was aired.CONGRATULATIONS TO ALL THE CAST , iF THEY CAN ONLY nominated all of them for best actresses of the year it will be satisfying.It makes me laugh, cry, surprised and most of all makes my lifes happy and satisfied,I don’t go to the movie I just watch korean drama over the internet…Thanks again to PD for making this wonderful story ……. The final episode…??????? @abby…I agree with you. I, too, have mixed thoughts about its ending. While watching the previews of episode 19, I thought there was actually going to be at least a bit more than a spurt of action, but it didn’t turn out that way; unless some scenes were cut. Well anyway, either it was the director’s or writer’s choice, I suppose. Overall, it was a very entertaining drama. Hi choi.I was watchin online ,part 1.I `m waiting that your TV series comes to land of persian peoples (iran). I also must say i rewatched this now for 3rd time & still hvnt got tired of it! It’s one of those dramas you’ll want to see over/over again! Yeah i luvd that epis where they kissed! I just wished there’s more episodes & they didn’t rush the last two epis coz it felt like they could use more scriptwriting, such as PK/KH wedding! If SBS is reading any of this, please do a sequel to this beautiful drama! I wanna see more of Pal kang & esp Kang ha! To Moderators: i found this drama here & i was asking from KJH board why I cldnt find the title…thanks again! By the way, wld it be possible to post a photo re this drama here? I’ll be back with some links! thnx! Hello moderators: If at all possible please post this photo related to this drama…many thanks!!! To Moderators: another photo from Pick the Stars please if you wld be so kind to post. Many thanks! ooopps sorry i forgot to include in my box the link. Since i’ve rewatched this drama again I really wanna share one of my fave scenes altho there were lots of them with KJH in it that i consider my favorite…that one in ep 8 where he changed baby nami’s diaper inside his car, the expression on his face was just hilarious & convincing! Then as he & Pal Kang were walking eating roasted sweet potato that was cute also! Plus i’m not sure w/c epis now but the one that he was trying Nami’s bottle & didn’t know what to do with it then later was caught by PK that he was sucking into Nami’s bottle. I luv this drama to the max! I luv KJH’s acting he’s just superb! Dear moderators: I found a nice photo of Kang Ha Pal Kang & all the kids for this drama, please post if possible. Thnx a million! AWESOME!! !Awesome soap…One of the better dramas I’ve seen…Extremely entertaining..Good acting…Good writing…Love this drama!!! hello bidacel! nice to talk to you here! Me too, i’ve rewatched this 3x now hehehe! I luvd it plus the kids like you said but most of all the team up of KJH & Choi as PK & KH! I don’t suppose i’ll ever get tired watching this again & again! I also hope there’s Season 2 of this wonderful and wholesome drama! so you still have 3/4 more epis to watch? It gets better & better I tell you! I hope to talk with you again about this drama as you go along! I can use company in discussing a lot of stuff about the characters & ev.thing about it! Also if you really like Kim Ji Hoon, join me on his board page next time just look for actor’s name & voila you’ll be on his board page! Nice meeting u here till next time! Hi Trude, I agree with your comment re this beautiful drama! It’s just too bad it’s ended after epi 20, I wished there’s more don’t you? This drama is definitely one of the best Kdramas I’ve seen & on my top 10 favorites! A BIG THANK YOU to moderators for posting that group photo of Pal Kang, Kang Ha & the cute kids! Thank you endlessly! Sorry Moderators…I’ve been so inspired by this drama that I can’t help but request another nice photo from the series with Pal Kang & Kang ha from epi 19 credit javabeans. Many thanks again in advance! THANK YOU VERY VERY MUCH MODERATORS for posting Kang Ha & Pal Kang photo! You’re awesome & I can’t thank you enough! Hello U.S.A Mary — I’m with you re the PK/KH relationship, I wld have loved also to watch more of their romantic interlude not only within the last two episodes but at least halfway through the drama! Kim Ji & Choi did have a very good chemistry & it would be lovely to see them much like the romance that developed in Love & Marriage between the two lead characters which as we all know was acted also by Kim Ji Hoon! I thought this was quite romantic coming from someone like Kang Ha who had shut his heart for so long until Pal Kang came to his life! sorry i just noticed a typo there….instead of writing ‘sweet’ i got ‘seet’, i’m sure you guys wld figure it out. sorry i was in a hurry! Dear Moderators – please kindly post the photo link below, this is from epis 8 where my sister sang hee mentioned about the ‘sweet potato’ when Pal Kang stuffed it into Kang ha’s mouth! Thank you very much for your hard work & look forward to seeing this when you get a chance please. one of good korean drama. I like it. Thnx a million moderators for posting that photo fr epis 8….that was very quick! I luv it! Thank you thank you! i love this drama very much!! !i really hope they make season 2 w/ pal gang and kang ha being married! !XD that would be really really good!! !bogoshipo choi jung won! !love ur eyes!!!!!!! !keep up the good work guys!!fighting!!! Hello to SFFTS…glad u found it coz i also had a hard time finding this as i kept looking for Stars Falling etc. little did i know it was under Pick the Stars, i can’t recall how i found it here hehehe! I also hope for season2 of SFFTS with original casting of course esp PK & KH being married, and it wld be nice to have all the kids as their entourage Nami the ring bearer! I hope SBS would come up with that eh? Let’s keep this board alive for them so hopefully you’ll spread the word about this site & we can all talk about this drama as I can’t seem to get enough of it. Let’s see what our fave episodes are next time. Hello Moderators: Parang is one of my favorite kids in Pick the Stars & thought this photo of him with Kang Ha was so cute, so if you have a chance, could you please post it here? Many thanks for all you do! Thank you once again Moderators for posting that photo of Kang ha & Parang….that was fast! I truly appreciate it! Many many thanks! You made my day! I love this drama..the story is amazing, it makes u laugh and cry at the same time. Highly recommended for you to watch it… I hope more k-drama like this one..
Hello Bidacel, klovers, kimji4ever, hi to rona as well…yeah let’s aja aja fighting for Season2 — i just finished rewatching Stars, my 3rd time 🙂 What can I say, i got hooked to this drama, the kids, Pal Kang & the handsome, hot Kim ji hoon! Nice photos I know, Parang is my favorite too, without him I guess Kang ha won’t be courageous enough to profess his love to Pal kang hehehe! What a great kid, so outspoken & wow he made me cry too when he cried in this drama. Really liked this drama hence i rewatched it 3x now. Talk to you again fellow fans here! i’m sorry forgot to say hello to you SFFTS! BTW girls, which episode or scene really hits you? I got a few such as epis 8, & of course their tender moments in the last two episodes which i’m sure you guys wld agree that this drama shld’ve been extended to at least 4 more episodes. I wanted to see their wedding! 🙂 I dunno about you girls, but i just miss this drama tremendously! I love KJH’s acting when he blabs to Pal Kang, he’s a very good actor, wow can he cry and yet he can be funny as well when he needs be. They’re all good i must say! bidacel…i’m glad u liked the photos as well…if you have a favorite photo you know you can paste the link here & request it from our moderators! i agree i also wld luv to see another Parang Kang ha tandem, that’ll be nice! otherwise a sequel pls SBS! i really love their chemistry from this drama and they suit very well together^^cute couples^-^heheh…i alwys love 2 watch the last ep cuz it’s funny and romantic,especially when kang ha suddenly proposes 2 pla gang!!sweet!>. Hello SFFTS…good to see u again here! yeah it was hard for me to find this page as well as i kept looking for Stars Falling etc. then for some reason i dunno how i came to find it. hehehe Glad u did too! I also liked the last two epis as we’ve seen something in the romance dept. if you will…i wished tho they didn’t rush it & had a wedding for them, but it’s great that we saw a happy ending, let alone PK proposing to KH who was caught off guard. Remember the look in his eyes when she said something like ‘i’m busy but would you like to get married’?? hehehe that’s so cute & with Parang giving his thumb of approval that his wish came through! I’ll talk to you again and other friends here! Hello Rona & Joy again! yeah!definitely a sequel! !i would love 2 see that!!seriously! !it’s gonna be a romantic one cuz it’s kang ha and pal gang’s moments!!yey!! but i really hope so!! yeah,i love that part too! !his eyes are so adorable! !his eyes will definitely catch ur heart!! hahah^o^it’s nice 2 talk 2 u here^^later!! Hi again SFFTS…really wanna thank you for keeping us company here…yeah sequel sequel plzzzzzzzz SBS!! Their chemistry was really great…yeah something about his eyes..some calls it s.xy bedroom eyes and look at KH’s lips right? Don’t you just also love it when he keeps blabbing to PK but u can tell it was in a jokingly manner? Oh he’s adorable & i agree he definitely will catch your heart! To dear Moderators: pls kindly post photo from Stars episode — thanks a million! To Moderators: Kindly post this photo from Stars drama when Parang sleepwalks into Kang Ha’s bedroom please. Thanks a million! Have a good day! that was quick —- THANK YOU VERY MUCH Moderators for posting that photo from Stars!!! Appreciate it v much! oh this board seems ok but KJH board can’t lv msg just now? anyway, many thanks for posting the photo Moderators! really made my day! thnx a bunch to you all! that was fast! Hello again moderators: is Kim Ji Hoon’s page seems disabled & i’m not able to leave a msg…hope it gets back to normal when you get a chance please. Many thanks again! it’s really a nice drama for me.. so entertaining.. the kids so funny n their act so good.. every person taking part in this drama not only for “choi jung won n kim ji hoon”… really nice.. two thumbs up for this drama.. I LOVE IT..
gotta go now..bye 4 now sang hee^^talk 2 u soon!! Yeah!!! sequel, sequel, sequel…… I love this drama… Very charming and funny. One of best drama dat i like to hv a sequel..
hello frnds SFFTS & some of you who just joined here. sorry i didn’t get a chnce to come here for a few days now. yeah sequel sequel that’s what we all want! let’s always post here for that my friends. talk to you again & annyeong to all incldg rona, etc. hi to sang hee and 2 all our friends here!!! plz!!! to SBS, we really want a sequel!!! !plz make another one! !we beg u!!!! Awesome, awesome drama!!! We need a sequel…It was short and to the point what a good writer! Loved this drama we need more like it…This is what entertainment is all about making you feel good! Hi! Sang Hee I agree with you this is on my top ten favorite and I hope the writer does a sequel showing their life after getting married and raising the new addition (Violet) to the family! I agreed to everyone.. this drama need sequel… I want to see how the couple take care nami and the new baby..
sequel! sequel! we want sequel!!!!!!!!!!!!!!!!!!!!!!!! plz post this link to the other photos here!! hi all & trude yeah let’s ask for a sequel! SFFTS i luv that photo you requested! this is definitely one of my top ten kdramas of all time! kim ji hoo & choi really got a good chem. let’s hope for a sequel! moderators pls post this nice photo of Choi when u get a chance. Thank you ever so much for that quick posting of photos! You all are wonderful! Bless your heart/s!! Da drama was really nice…………hop 2 c da sequel…………………. some photos recently posted are missing now? i wonder what happened? thnx moderators for putting back the two nice photos of Kang ha & Pal kang. yes we should petition for a sequel, i’m missing this drama to the max! i can’t believe i started watching this drama again, i just don’t feel tired seeing this esp Kim Ji Hoon & Choi plus the kids. sequel pls SBS…what’s taking it so long? 🙂 We’ll wait, right friends here? Hello moderators: pls kindly post the link of photo below. many thanks! Hi Lee…wished i cld txt u but did u know Kim Ji has got his own page here & we can talk there about him…just type his name Kim Ji Hoon on this site…hope to see u there….all of u here who’s a huge fan of KJH, let’s talk about him on his page. Moderators: i’m not sure if we can post this kiss scene but if you can please do….lots of thanks! THANK YOU THANK YOU Moderators for posting the photos!!! You guys rock! whoa, that last pic really made my day! tnx sang hee 4 posting it! !love it!!!! Yes yes yes….thnx for liking it SFFTS & TepTop!!! Nice to be seeing u here girls! Let’s talk here once in a while to show our support for this drama & if u hv some fave photos our moderators wld gladly post them here! talk to u all later! I found another nice photo of Pal kang & Kang ha kiss scene….moderators pls pls post it when u get a chance….many thanks!!! THANKS A MILLION Moderators for posting that nice photo of Kang ha and Pal kang in one of the scenes from this beautiful drama series! It’s much appreciated! You made my day again! could it be possible for us to collect something to warn SBS to go get the sequel???? oh….i am desperately want that…..
i already finish watching this romance, comedy and drama series. it is really great the actors are so handsome. nice ending too. i finish watching the drama. great ending. i’m still hoping for a sequel or if they cld do another drama together, i luvd their chemistry! annyeong to Choi & Kim! The ending was quite good,. I like it..
To Mel, Ade, Alghie….you all will enjoy this drama, i’ve seen it a few times & never seem to get tired of this esp. the chem betwn. 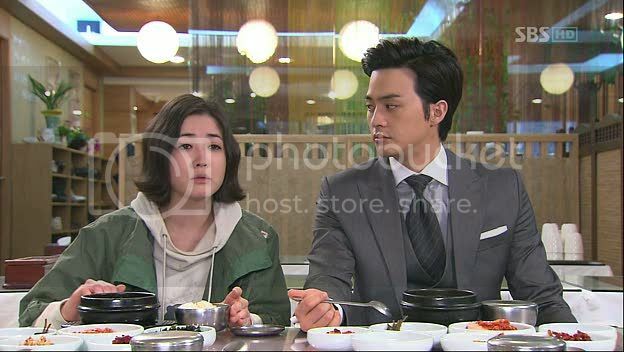 Kim Ji hoon & Choi Jung won…..really one of my faves of all time!!! Sorry to bother you again dear moderators….kindly post this photo of Kim & Choi please. Many thanks again! it’ so romantic i love korean drama..
From the bottom of my heart congratulations to all of the cast for this beautiful drama. AJA! AJA! What are you watching now….i just finished city hall (BUT STILL LOVE PICK THE STARS) 2009 drama and…….it is really goood…………..more than good………….i hope we’ll meet in another time…. yeah see u here again or visit Kim ji hoon’s page also here ok? I frequently post there as opposed to here but i love to talk here too! see u soon! go to kim ji hoon’s page also see u there & others here who likes him! Hello Moderators: Pls kindly post this photo of Pal kang when u get a chance. Thanks so much! That’s a lovely photo of Choi jung as Pal kang —- thanks a milln. moderators! that was quick! love all their photos here! is there any part where the main actor gets jealous because another guy is chasing the main actress???? This show is amazing!!!!!!!!!!!! the best good storyline, exciting at every ep! MUST watch!!!!!!!!! like the stoty overall, but i hate the end o the drama…it’s so bad i think…. at first i just give it a try, but it turn out to be great!! love this drama!! N i really hoping for a sequel..
i intended to watch this drama but i wonder wheather it ends happily or not as i dont like sad ending. to maida: yes indeed it’s a happy ending, i’ve seen this drama countless times now online & now on my own dvd! can’t get tired watching this. grt story & grt actors esp Kim ji hoon & Choi jung won, actually all of them are great even the kids! a well made drama! to our MODERATORS: pls post this photo from the set of Pick the Stars – thank you kindly! THANK YOU THANK YOU MODERATORS FOR POSTING THAT GROUP PHOTO FROM STARS FALLING! YOU ALL ARE GREAT….THIS SITE IS ONE OF THE BEST!! hello moderators: kindly post this photo pls when u have time! thnx a lot! Moderators – I’m your number ONE fan…..thank you sooooo very much for taking the time to post the photo i requested recently! You all are amazing! The story is indeed a star…..
Having said that that I still like it…. The story is common actually but it was done in a different way thou…. It reminds me of 3 dads and 1 mom…but this time its 1 sis 3 bf’s and 5 siblings hahhaha…..
Really like to watch it over and over. It makes me rethink the values of life in this hustle and bustle material world. The main actress and the main actor are fabulous. The rest of the crew are good, especially the kids. It’s the only Korean sequel that I can stick to the end and even watch it multiple times. I think the story and casting of it very interesting and unique. the presence of cuty kids were charming and touchable. I really enjoyed watching this drama so much. saya suka sekali liat akting para pemain dlm drama ini,…bikin gemes sampai anak sekecil itu bisa senyum dan tepuk tangan,…Hmm apalagi Kim Ji Hoon,…bikin gemes cool abis,…kapan aku bisa bertemu denganmu??? I have been watching this drama 3 times, and still able to watch it over and over again. Best story, very entertaining etc etc. Congrats to all the actors…they’ve done a great job! wuaaahhhhh…this drama really great….really cool, pretty funny after the first watch was sobbing …. I feel like riding a roller Koster ….. two thumbs up to that makes this drama …..
Beautiful drama. The story line and all actor are excellent. Especially, all kid stars are so cute. This drama made me feel warm-hearted and so enjoyable. Last, Kim Ji Hoon…SARANGHAE !! Awaiting for your back ! !…fan from Thailand. great the drama, love the story & so funny. love the actors & actresses. Ahh.. Bogoshipo Shin Dong wook Oppa!!! I super love this drama..I like the story. It has a lot of moral lessons and good values.. It is so touching and hurting but there is always an excitement to watch it over and over again.. It gives a lot of relief and a good laugh..The characters were fantastic and the kids were amazing plus the beautiful face of Choi Jung-Won and of course, Kim Ji-Hoon’s handsome physique made it perfect.. What a story with a unique ending… Two thumbs up!! !